The Ukrainian gadget maker Pocketbook sent 2 gadgets to CES 2014, and one worked a lot better than the other. I spent some time today with the CoverReader, Pocketbook's entry into the smartphone case market, and I'm not terribly impressed with the idea. Sure, the demo unit worked okay, but I've begun to realize that I think there's a better option than adding an E-ink screen to a smartphone case. 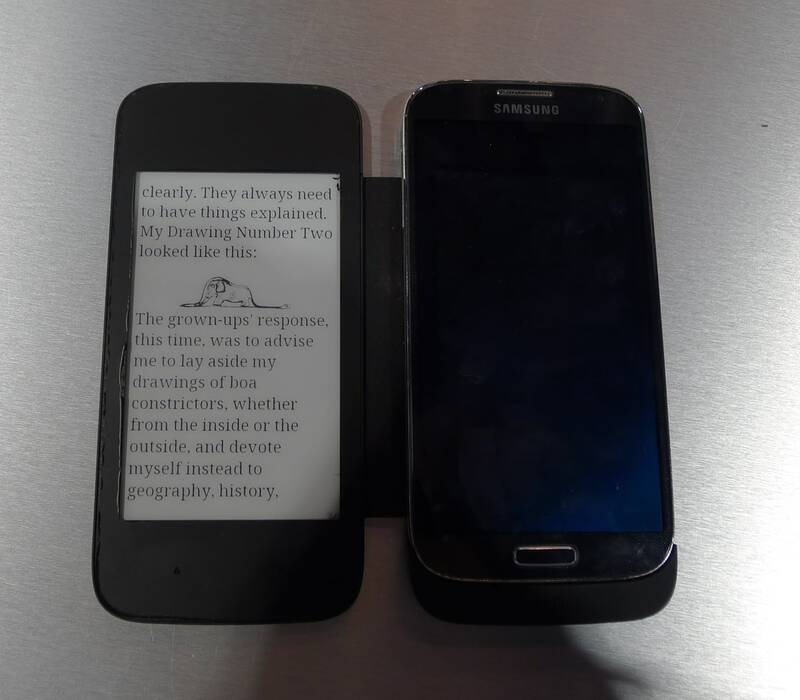 The CoverReader is designed to work with one of the Samsung Galaxy smartphones. 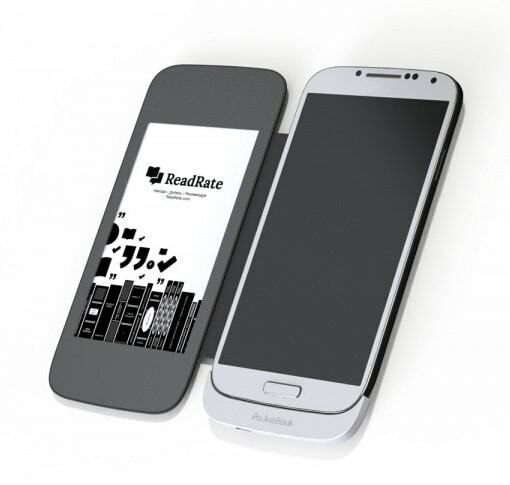 It is an integrated cover which draws power from the smartphone to supply the 4.3" E-ink screen (800 x 480 resolution). It was initially announced in September 2013 with a release date in October 2013 and a retail of 99 euros, but so far as I can tell it's not available yet. As you can see in the video above, the CoverReader works well for a prototype. It was more than capable of displaying ebooks, though of course it required Pocketbook's reading app to be running on the smartphone. I was also able to use the companion app to transfer photos to the CoverReader, but this feature wasn't quite working correctly. When the CoverReader was initially announced in September 2013 as a smartphone case I was thrilled at the idea. It seemed like an excellent addition to a smartphone which complimented the LCD screen. But now it's several months later and I don't like the idea so much. Now that I have seen the Alcatel MagicFlip, and now that I have seen Gajah's new 3.5" ereader accessory, I think they are the better option. They will work with more smartphones and not be limited to single specific models. Adding a secondary E-ink screen to a smartphone is going to be a niche market at best, so I think it's best to go for the largest niche possible. This means either releasing a case for the iPhone or a product that can work with all Android smartphones and not just a single model. So long as those accessory devices can display more than just ebooks (like a shopping list email or a barcode from a loyalty card) I think they would be the more useful option. Sure, these gadgets might not serve everyone's needs but they will attract more users than the CoverReader, which can only support the users of a particular smartphone model.